Waxes isolated from different bitumens were investigated with respect to their chemical compositions and structural characteristics. Isolation of waxes was performed using a distillation method (European standard EN 12606-1) and a method based on size exclusion chromatography. 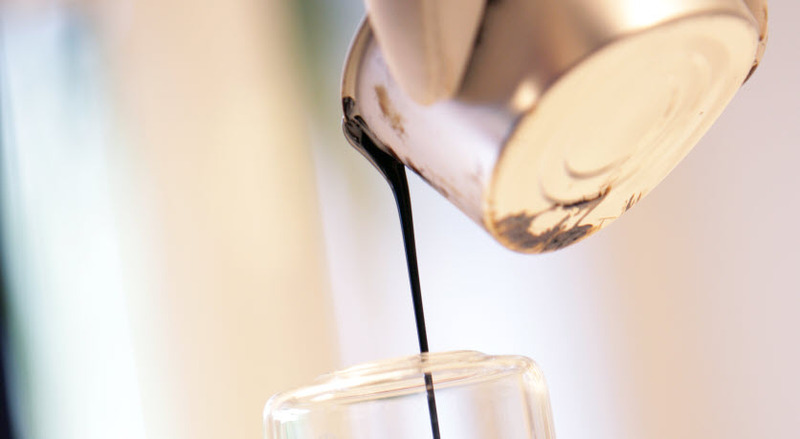 To characterize bitumen waxes, various techniques were used, including DSC, HTGC, GC−MS, FIMS, NMR, and WAXD. The study showed that bitumen waxes were complex mixtures of hydrocarbons structured as n-alkanes (C15−C57) and isoalkanes, cycloalkanes, and aromatics, which could be larger than C57. Proportions of different groups of these compounds were strongly dependent on bitumen origins and were also influenced by separation methods. In most cases, bitumen waxes were primarily composed of paraffinic hydrocarbons but differed greatly in the content and distribution of n-alkanes. There were also cases indicating a significant contribution of naphtenic hydrocarbons and aromatics to the wax fraction. Differences between bitumen waxes were further demonstrated by the thermal analysis. The waxes with a predominance of n-alkanes generally melted (and crystallized) over a narrower temperature range. The sharpness of wax crystallization/melting peaks decreased with increasing nonnormal alkanes, particularly cycloalkanes and aromatics. Experimental data also suggested that n-alkanes or compounds with long alkyl chains were essential fractions to the formation of regular structures (crystals) in bitumen waxes. European-wide harmonisation, structural changes in the financing of public works and environmental concerns are all having an increasing impact on the way we do business. At Nynas, we strive to stay a step ahead – and our sights are firmly set on our customers’ needs.